The Center for Danish Jazz History in Aalborg is northern Europe’s largest archive of jazz records, tapes, scores and magazines. What value and relevance does these old recordings, most of them being originally improvised but now fixed on a physical medium, have in our time? 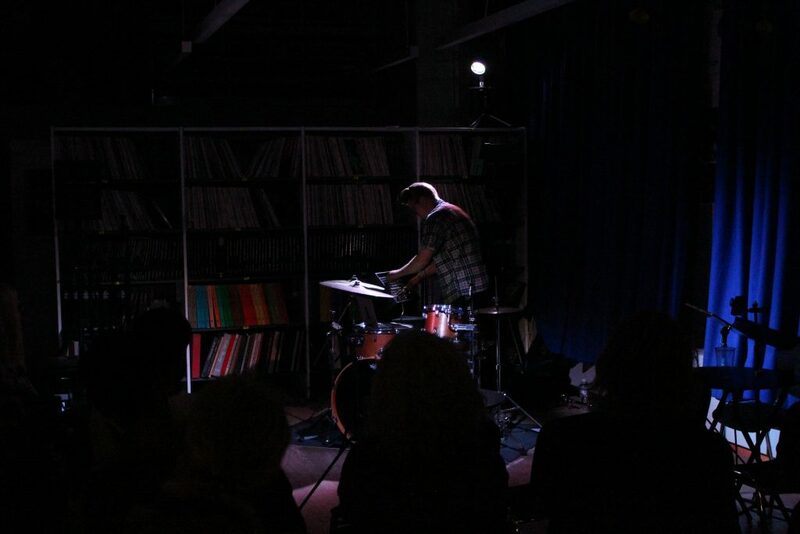 This question became an artistic challenge for sound artist Morten Poulsen, who himself has a background in jazz drumming and as host on a jazz radio. In this project he attempted to find ways to use the objectified music as artistic material to follow the inherent tradition of innovation and development that is in jazz. This initially led to the project Miles Davis Trio (presented at the Meutiviti Festival 2017); an improvised electronic performance based on Ib Skovgaard’s great collection of recordings and interviews with international and Danish jazz musicians. At the Meutiviti Festival 2018, a new piece presented computer algorithms being released in an improvisation with selected recordings from the Center for Danish Jazz History. Basically, the computer was performing random operations based on a set of rules made by sound artist Morten Poulsen, who performed as an audience member. Iteration is the act of repeating a process, to generate a (possibly unbounded) sequence of outcomes, with the aim of approaching a desired goal, target or result. Each repetition of the process is also called an “iteration”, and the results of one iteration are used as the starting point for the next iteration. Iteration in mathematics may refer to the process of iterating a function i.e. applying a function repeatedly, using the output from one iteration as the input to the next. In some schools of pedagogy, iterations are used to describe the process of teaching or guiding students to repeat experiments, assessments, or projects, until more accurate results are found, or the student has mastered the technical skill. This idea is found in the old adage, “Practice makes perfect.” In particular, “iterative” is defined as the “process of learning and development that involves cyclical inquiry, enabling multiple opportunities for people to revisit ideas and critically reflect on their implication. Photo by Sara Arenfeldt Kragh.